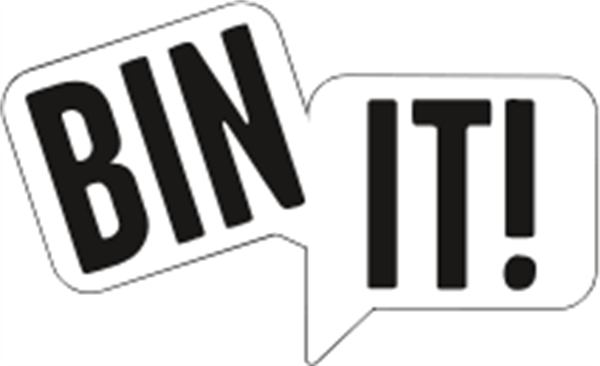 On Thursday the 25th October the BIN IT! 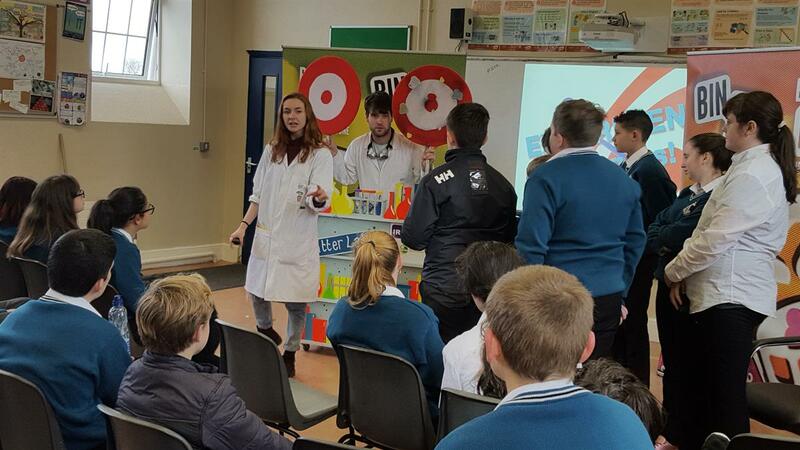 Roadshow visited Coláiste an Chreagáin where all first and second year students got to watch and partake in the show. The BIN IT! 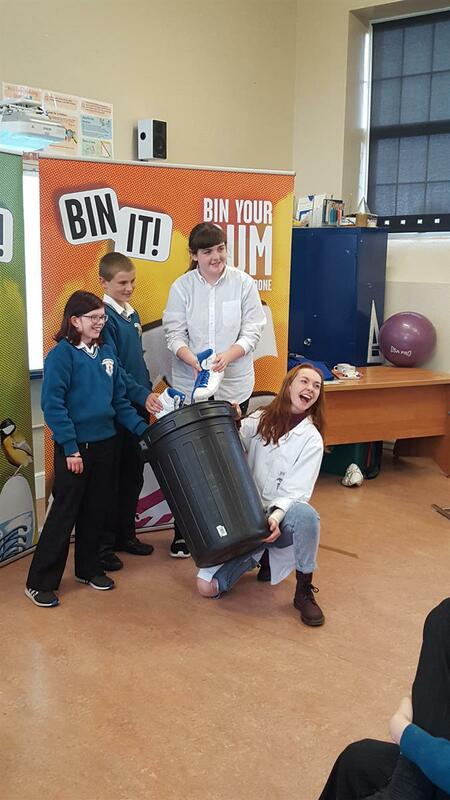 roadshow is an award winning educational roadshow designed to tackle the impact of unnecessary littering and helps students to understand why it is so important to take personal responsibility for correct litter disposal. 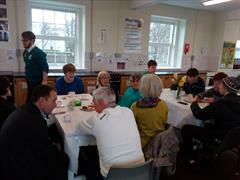 One way to help stop littering is to change behaviour and the aim of this interactive roadshow was to do just that. The BIN IT! 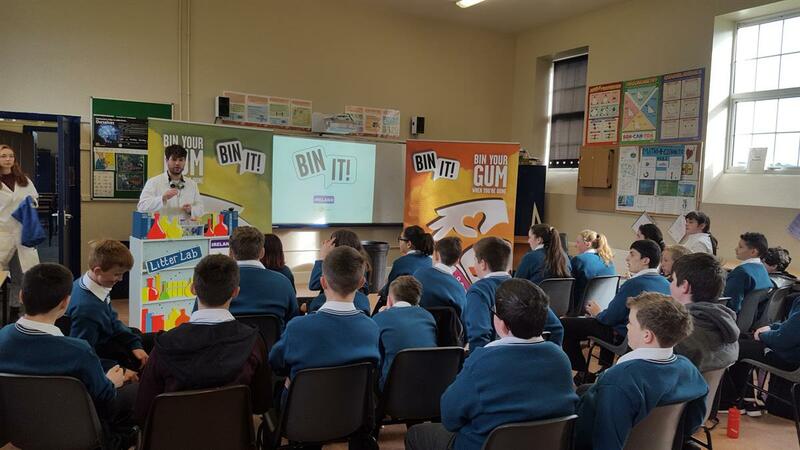 roadshow raises awareness on the environmental cost and social issues surrounding discarded litter, particularly chewing gum litter. 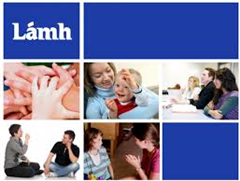 It also supports the junior cert and CSPE curriculum, as well as encouraging student co-operation, interest and participation.